I can't believe I get to visit my friends at the ISLAND tomorrow... Scrapbook Island that is. I have not even thought about packing. However, I wanted to let the girls know that Laurie will have the TC Xyron items in stock at her store. If you did not get into a class and want to come by, Scrapbook Island will be full of my NEW items. I have been meaning to show my line of products with Xyron. Hands down the best stapler I have ever used. It's PINK (insert smile) and heavy duty. It uses your everyday normal size staples. It's perfect for a great grip!!!!! The TC Mega Runner comes with 100 FEET of adhesive. Then you can buy the replacement clear cartridges when you need more. I also have the TC Stickermaker. I love this for my ribbon and small chipboard pieces and die cuts!!!! I seriously travel and take this kit with me everywhere. It is my essentials all in one cute PINK box. I have my liquid adhesive, pop up dots (the thick ones!!! ), eraser, mini stickmaker, tape, and pink runner. After you use the adhesive, you can use the box to decorate. This is brand new too- the TC chipboard punch. I love the pull out ruler and how many paper it will go through. It's HALLOWEEN. I feel bad but with the weather (it's cold here!) and Ty... I won't be giving out candy this year. I feel bad because I've never not done this. I can't risk opening the door and the germs. Ty is so weak from the treatments and we just can't take any risks. I have a meeting today at the hospital too. It is a 3 hour meeting today at Huntsmen to go over the Bone Marrow Program. It is for the spouse/caregiver so we know exactly what to expect and ways to deal with all the issues and what we will face on this journey. It is important for the family to understand what the patient is going through. They mentioned that I will really need to take care of myself emotionally and physically when he is in the hospital. Thankfully, they will give me a huge binder to keep and refer to. Hope you have a WONDERFUL HALLOWEEN!!!!!! November 1 & 2nd- I cannot wait to see my ISLAND GIRLS!!!! Then the following week- I'm flying to Searcy ARKANSAS for a ONE DAY event. November 8th. I am almost certain the event is SOLD OUT. 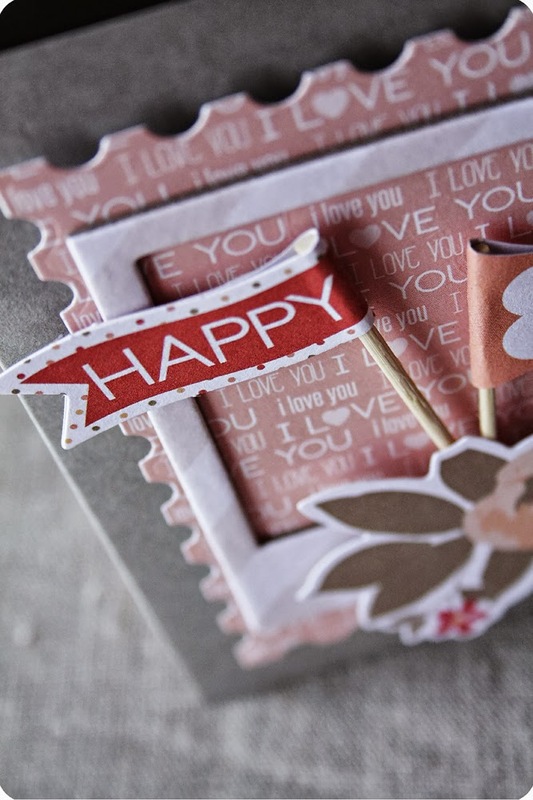 Hosted by Denise Pearlman with The Scrapbook Attic. Can't wait to go back!!!! Sorry it is completely OVER sold out at this point. Okay, I am sitting at the Huntsman Cancer Institute right now. Ty is getting his fourth round injection of chemo. This hopefully will be the very last time we have to come here for this. They tested Ty last week- a bone marrow biopsy and ctscan and found that Ty's cancer is now NOT in his blood or bone marrow. He has responded so well to treatment. They felt with how well he responded that they will forgo the 5th and 6th chemo treatments and proceed with the bone marrow transplant. Now we are preparing for this very serious journey. I would be lying if I said I'm not scared and sad that he has to do this. Ty will start shots this Sunday so that he body will prepare him for the stem cell withdrawal. He will have surgery to have a port inserted in his chest. There is so much more to this, but I won't share all the details. It's very overwhelming. It is looking like Ty will be in the hospital for Thanksgiving and Christmas. I keep crying. I know this is necessary to save him life. It's just so hard to see him so weak, tired and now having to go through procedures that truly take him to death's door. I am so grateful that he is able to do this now and not have to endure two more rounds of chemo. Plus, I will be home for the entire time he is in the hospital. I know Heavenly Father was mindful in helping our family and me personally to be home and there for him. I taught on the cruise that Ty was supposed to be with me. I was uplifted by the participants. I know that the group helped me to be stronger and strengthened for the weeks and months ahead. I truly believe people come into your life to help us. I just wanted to quickly update our family and my friends here with the journey we are on. I am not online much but to my focus on family and running the business. THANK YOU for your support and prayers. It is so needed. Also, I do not have a phone. I dropped my phone at HSN and cracked my screen. We tried to fix it but on the 18th the phone decided not to work. I am waiting for my new phone to arrive. So if you are contacting me, please email me please or call me at my office. THANK YOU!!!!!! Look at this CUTE file folder mini book with Masquerade Party. I love the big H. I have a LOVE for all things MONOGRAM and initials. Stacy Rodriguez created this mini book and showed us how she created on the TC design team blog. I am trying really hard to NOT eat all the HALLOWEEN candy that is around my house. I have put the candy in the Masquerade Party treat bags. Okay... the treat bags are my FAVE!!!! I will be going to the ISLAND... Scrapbook Island next week. Oh my these workshops are BRAND NEW. If you want kit only's and are not local to the store, then please contact the store. The only workshop that will NOT work as a kit only is the WHAT MATTERS MOST- Gratitude workshop. Unfortunately, the class is so hands on with the new TC ebosser by Craftwell and you would need to be in the class. The GRATITUDE book is 7x13 and HUGE!!!! *sorry this cannot work as a kit only. I am working on something similar to this as a kit only though for 2014. Stay tuned. You are my HAPPY workshop.... Oh my... the gold star ribbon matches the collection too! I added so much MORE to this after I took this photo too. The Christmas book is so huge.... Yes, the large brooch will be included. Sign ups are ending this week. We opened up some spots and once they are gone... they are gone! I hope you will join us. I love Laurie and my ISLAND friends. I can't wait to see all of you again. I am always honored to be invited to come back. Want to be a GUEST designer? I love that we feature GUEST DESIGNERS. I love to see what crafters create with my products. So love her use of color and product. SUPER CUTE Nancy! Please make sure you are sharing your work with us. Cheri Piles and Yvonne Blair manage the design team and education for TC Designs. Currently, we are not doing a design team call but are looking at adding to the design team in the near future. If you are interested, make sure you are posting projects designed with TCD product on facebook, your blog and share with us. We also are always on the lookout for guest designers. Due to the volume please note that they may not be able to respond to all emails other than letting you know that they did recieve the email. ARE YOU A SUPER FAN of TCD products???? Make sure you are sharing with us. Now this video is one that I did when I debuted the TC Stampmaker. I think that I am most often asked about the TC Stampmaker and TC ebosser. I am so in love with the ability to craft and do custom stamps. I recently showed the latest TC Stampmaker with the new packaging and additions to the kit. If you are looking for the machine you can still get it!!! You can create your own customized stamps from any JPEG image that you legally own. The process to make the stamps is so super easy. You will get a CD that helps you put your artwork/design into templates so you can simply print and then create the stamps. Just thought I would share just in case you missed it. The price is amazing and you will not find a better price. I was on Good Things Utah on Thursday. I wanted to share how easy, and affordable it is to create your own HALLOWEEN party decor, treats and more!!!!!! You can see the new TC chipboard punch too. I wanted to share that YOU ARE MY HAPPY is now SHIPPING. This new collection is gorgeous! I am teaching with it for the first time next week at Scrapbook Island in San Jose, CA. *November 1st and 2nd. Make sure you check your local scrapbook store and ask for the collection. If you don't have a store and order online, make sure you ask them for it. The gold foil papers are so pretty and this line has the nicest colors that compliment each other. I love her style and wanted to share with you! I also wanted to let you be aware of some current changes within my company. I have hired Sean Edgars as my new Sales Director for Teresa Collins Designs. He is amazing and has been in the industry for years working. Sean knows the business, my brand and I love that he gets my passion for what I design and distribute. It was truly a blessing to have him join the TCD team and I am so thankful. This is a huge change to the growth of the company and I consider myself so fortunate. I am constantly telling my family that we are being blessed everyday. I know that with my growing and thriving business, I needed to have someone like Sean to help me with my goals and growth. THANK YOU Sean and all the people who support me. I want to tell everyone... THANK YOU. I could spend HOURS every day texting and emailing so many of you. I feel so loved and supported. Our family truly appreciates our good neighbors and friends who support us. I found myself crying all day today. I am overwhelmed with the task at hand. I can't keep up with all that demands my attention and love. I feel horrible that I havent written thank you notes and that I can't respond to the many emails and texts I get. Often, I get texts that say... you did not respond, are you mad at me? I feel horrible if I hurt anyone's feelings, but I am so busy. So many people message me through facebook too. I hope if you are reading this and I did not respond... PLEASE know I love and appreciate the support. I simply can't even begin to keep up- I do try to read my messages every few days as time permits. Today I talked to three different nurses. I am in a new world. I am learning and trying to do things I have never done before. I feel overwhelmed on a daily basis. Did I mention that my bathroom toilets have never been dirtier? I am embracing that dirty toilets are not a priority right now. We are preparing Tyler for the upcoming bone marrow transplant. That means MANY tests and many visits to various doctors and clinics. I firmly believe he is going to be in remission. I just keep the faith that Ty will be healed and will be able to enjoy life again. My boys are having UEA break. My sweet dear friends- the Mills took them on vacation with them. My heart is so thankful for this. They took them to St. George with their family. My boys are having a great time and doing something that Ty and I cannot do right now for them. This is so appreciated. My boys are able to keep having a normal life because of the goodness of our friends. My sweet neighbor Wendy brought us dinner on Tuesday. It was enough food to last us for four days. That is truly such a gift and blessing for us. I love you WENDY and family!!!!!! I could go on and on... the acts of kindness are so loved and so appreciated. Cooking has always been my "weakness" and so the extra help has made the biggest difference. My cute friends at Xyron sent us frozen meals. WOW... I can't THANK each and every one of you enough. THANK YOU is never enough to know the difference it is making to our family. Happy Friday! Keisha blogging today sharing a few cards using the new You Are My Happy line. I do LOVE this line-the bit of blk/wht with the sweet happy colors is right up my alley! 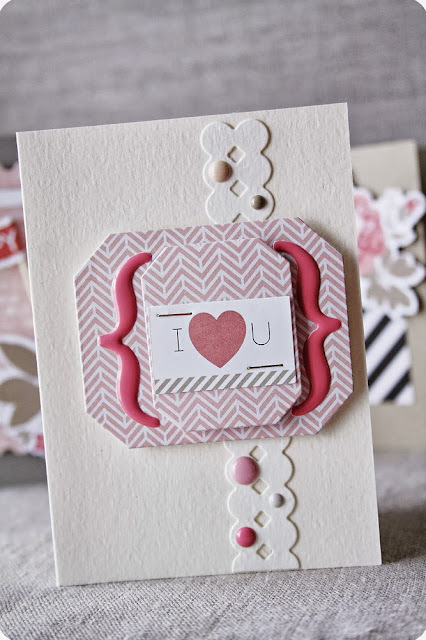 For the 'I love U' card I kept it pretty simple with a mini dot border die cut that I embellished with a few enamel dots in different sizes & colors. Then I die cut two labels in different sizes and added a simple sentiment-I loved the enamel brackets and had to use them. 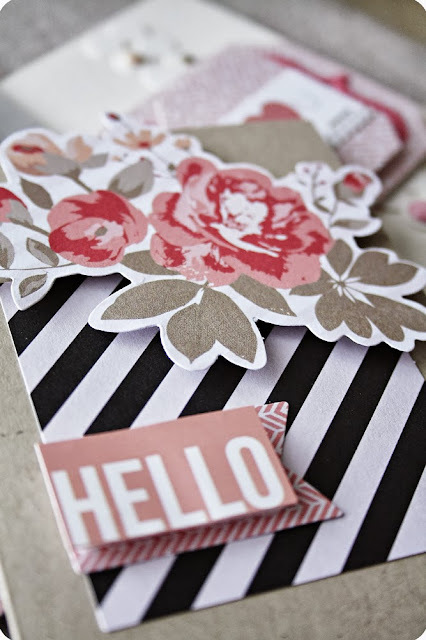 This 'Hello" card is really easy peasy! 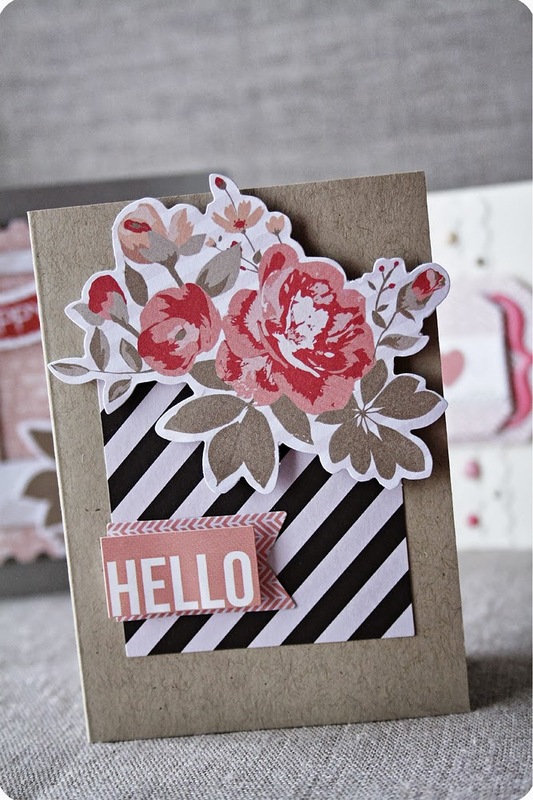 It was made using a few items from the die cut shape pack-the striped square, floral, and flag. The 'hello' is from the sticker sheet. This is a 5 minute card, all you have to do is tape & pop dot! 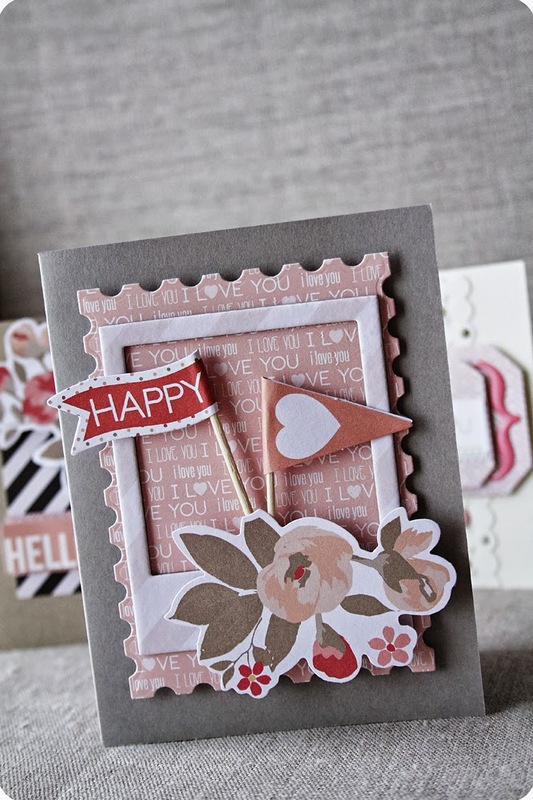 My 'Happy' card is another super fast & easy card-I used a postage stamp die for the background and layered it with a chipboard frame, die cut flower, and a couple of flags. Oh, and lots of pop dots! I saw this layout that LESLIE ASHE designed for the design team with my new release- YOU ARE MY HAPPY... and I had to smile. I love it!!!!!! Then yesterday my daughter emailed me and we got to chat for an hour going back and forth in emails. McKay is just one of the sweetest girls and her example to me is HUGE. We are really close and even though she is away on her mission, we have found that letters and emails really have kept us connected. I admit, I send her alot of care packages. I mostly send her tights, Essie nail polish (they have the BEST colors), and a few treats. Yes, I sent her a Halloween package. This is her and her companion wearing the "fangs" that I sent. I wanted her companion to know how much I appreciated her sweetness to McKay so I sent the box to both of them. I loved that she sent a photo with the goodies I sent the girls. Can you see where I sent her photos? That is the ONE thing she asks for over and over. She likes to see photos of the family. I am so super proud of her and love her weekly updates. She is my "clumsy" girl and each week her stories ususally involve her tripping or doing something funny. She is loving the Spanish language and she is doing well with the fluency. I told her that when she gets home I want to take her with me to translate for me. She is only allowed to teach in Spanish and so she is growing and learning so much. Okay... this THURSDAY I am going to be on GOOD THINGS UTAH channel 4 TV at 9:00 am. I am showcasing HALLOWEEN goodness and HALLOWEEN PARTY items. I have been so busy and it's been hard to go on as regular, but I'm going to start going on back more. Yesterday, so many of signed up for my workshops at SCRAPBOOK ISLAND. THANK YOU! Laurie emailed me and asked if the class was sold out or if we could add more spots. So don't hesistate... I told her she could add more spots. I am not sure how long or how many spots are left now at this point. I showed the inside pages, but not the cover. So me!!!! I added MORE to the book after I photographed it. So join me at the ISLAND for lots of fun. I wanted to cry when she told me how many people had signed up yesterday and I knew we needed to open up more spots. THANK YOU so much everyone!!!!! I wanted to share a little personal sweetness. Every day I am asked how Ty and I are doing. It's such a hard question. Ty is really weak and has a hard time walking due to how weak he is. I have to force him to eat (every meal). He spents most of the time in bed and is always home at this time. His counts are very low right now and we cannot risk another infection. Yesterday, I made a pot roast with potatoes and carrots in the crock pot. I knew he did not want to eat, but I talked him into it. It was fabulous too!!! He had come downstairs to eat with us. Taylor is here working on his billing still, so she joined us for dinner. I know it's something so small, but I loved that we got to eat together. After dinner, I was working on some upcoming products with FISKARS (so excited feeling so blessed) and Ty stayed downstairs and sat on the couch. I was working away and he asked me when I planned to go to bed. I kept asking him why and finally I realized that he was waiting for me. He just wanted to be with me. So we went to bed and I rubbed his lower back for over 30 minutes. He has pain in his lower back that is intense and I press really hard trying to keep his mind off of it and hopefully relax him. We watched the Tonight Show with Jay Leno and we laughed together. It was such a simple moment and yet I felt such deep gratitude and JOY that we were together. I know that I am his cheerleader right now. I remind him daily that we can do this... it's definitely a battle. I am so lucky that I am the blessed one that gets to serve more, love more and help him more... my best friend. I hate this has happened to him, but how grateful I am that God has given me Tyler to love and support. I am headed to Scrapbook Island in San Jose, CA to teach on November 1st and 2nd. I can tell you that I have known Laurie since I designed for Rusty Pickle and taught at her store MANY years ago. We became friends and I have often visited and taught at her store. Laurie is a inspiration to me in life. I am teaching THREE brand new workshops. They have NEVER been taught before and will not be taught again. *the rumors are true- I have SOLD OUT of so many of my latest product lines. What really matters most to you? Create this keepsake 7x13 chipboard file folder album to document and share what really matters to you. Each year in October/November I create a gratitude album that describes my yearly thoughts on the year, what is going on in my life and documenting my thoughts with photos. This book and class will focus on the good things in life and things that we are thankful for- documenting life. 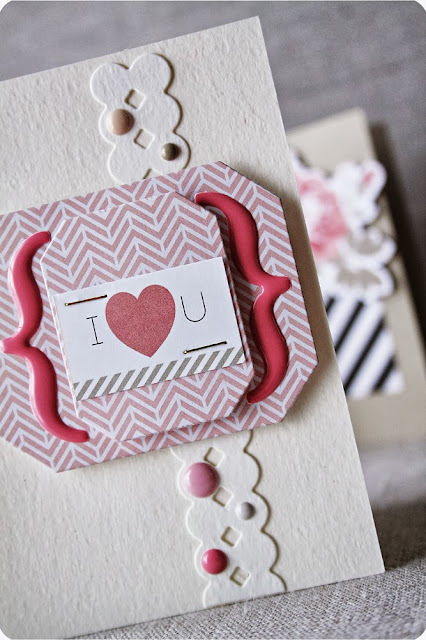 This workshop is very technique driven and you will be learning how to use your die cuts, embossing folders, and punches to embellish your project. It is a huge class and you will get a custom PDF sheet that was designed just for this project. In class, you will learn how to use the NEW Teresa Collins ebosser machine by Craftwell, the Cinch machine and MORE! my various lines. I really wanted an ecletic feel to the project. It is such a big project and very personal but I felt that I needed to share this project and help others to document this yearly thankful/gratitude too. Journaling is a HUGE focus in this workshop. I know some of you have a hard time with this. I promise, I will make it easy for you!!!! PS... the TC ebosser machine is going to be working overtime as we emboss and diecut so many elements in the workshop. bring lots of pop up dots and a black journaling pen. is truly what it is all about. I am so in love with this project. YOU are my HAPPY is such a fun and meaningful class and project. What makes you HAPPY? your projects. This project will help you document all your HAPPY times. My third workshop is another BIG book. Yes, this time its with Santa's List. The project does come with the large sparkly brooch on the cover. will love this project. All you will need to do is add photos and journaling. is very interactive with flip ups, tags, and more. It is filled with tags and places to journal and document your special holiday. Okay... sign ups start this MORNING. I hope you will come and join me for the weekend. I can't wait to see my friends there. I saw this online and KNEW it was exactly how I feel right now. This week has been super busy, super wonderful, super creative and super challenging. Yes, it's non stop and I am thankful for each day. The challenges make me stronger and realize how blessed I really am. This week I have been designing new products... which I love. This makes me happy. Celebrated Zach's 16th birthday. Spent two full days at the hospital. (Tuesday with Tyler and Wednesday with Taylor). I have had several phone conferences and meetings. I am super busy and thankful for this. My husband is super proud of me and tells me this daily. I love this and it keeps me going. I designed THREE new really cool projects for Scrapbook Island. Yes, I am going there to teach November 1st and 2nd. (San Jose, CA). I felt inspired to do a GRATITUDE/thankful album. I'm at the office today working on a HUGE line that I am debuting with another amazing company at CHA W. It is a first for me. I pinch myself at my good fortune. LIFE IS GOOD. I am just so thankful for EACH day. I'm off to go pick up Cafe Rio for the graphic artist... celebrating FRIDAY at work. Zach is 16 years old TODAY. Oh my... we got up and left the house at 6 am to head to the DMV. Yes, he will be driving today. He was so excited. I wanted to just tell Zach how much I love him and what an amazing son he is. I just love how kind he is. This makes me most proud. Wow, it seems like yesterday he was a baby. He was the happiest baby. He just was and has been such a easy boy. I am so grateful today and everyday that God gave me this sweetie to raise and love. Watch our UTAH drivers. He is on the road!!!! Last night I got home from Madrid and quickly unpacked. I knew I would have a very busy week. I have learned to take it day by day or I just get too overwhelmed. The flight home went well and thankfully due to thick compression stockings my legs did not swell. Lesson learned- just wear them! Today we are at the Huntsmen Cancer Institute. We got up at 6am to start the day with his oncologist appt, blood draws to check his markers and now the chemotherapy. Today is NUMBER 3. This is half way for the treatments. Wow... I STILL feel like it's a bad dream. I am sitting here watching the love of my life being injected with the red fluid. He is so cute wearing his hat and he is smiling. Such a testiment to his spirit. I have grown to know him in a new way through this experience. He has never once complained or had a bad attitude- like... Why me???? He just endures it well. It's always hard to do another round because he gets very weak and sick immediately. This weekend and right before he does another round, he is actually able to get out of bed and don't feel the pain for a few days. These are the good days and a reminder to him of how he will feel once he get gets all better. I just think ATTITUDE is so important and I remind myself of this daily. When I feel overwhelmed I just remember that I am strong and I can do this. I have felt God's love surround me and our family and this is what keeps us going. I thought I would share my photos from this weekend in Spain. I absolutely LOVED these sweet amazing women. This is Patricia. She owns Gargamellescrap. She does beautiful projects too and carries all of my lines. She has a beautiful family too. We visited the city center of Madrid. I am thankful that they took the time to show me their city on Friday prior to the event starting. I love taking photos of the architecture. We walked the streets. I just love to explore and see new places. It was nice to walk the streets and be in such a beautiful place. Lunch was authentic food from Spain and I loved it. This was the most delicious ham. Ty would have loved it. He served his mission in Sevilla, Spain. I ate way too much of it. Ty was jealous when I told him I got to eat this and paella. Ty loved this on his mission. I got to try it for the first time. I am a very easy going person and like to try new things and foods when I travel. This was cool. YOU can see that I was standing in the exact center of Spain. This is Raquel. Thankful that she was so sweet and could understand and speak English. I took instant photos with each of the girls at the event. I loved that the setting was wrong on the camera and we laughed and joked that they were all GHOST photos. Yes, my blond hair stood out in the photos. No worries- we retook all of them. The nicest girls.... such a great time with them. Patricia and Raquel gave me such thoughtful gifts. I loved the hippo stuffed animal and the sucker bouquet. I just felt so much love. I even had girls give me stuff for my husband. He loved the meat from Toni. Patricia brought me goodies from Portugal. So many very thoughtful women. Yes, I cried. I loved meeting these beautiful women. It was such a highlight. Oh yes, I shopped at Patricia's store. I had to have these thin metal dies. I am going to use them with my TC Craftwell ebosser machine. Yes, it cuts as well and uses ALL of the dies you use and love. They even will cut the thin metal dies from kesi art from France and other dies as well. Their dies are in french and reminded me of the dies that you will find that my friends have designed for the Siloquette and Kerri Bradford. If you like the handwritten dies that have been so popular for years, then check out the dies. I bought them and gave them to a friend who had been looking for them. I have only seen them in Europe and I bought about 8 new sets for her. Watch for a video and a segment on My Craft Channel soon. We all had our own Tshirts at the event that they made. Super cute!!!! Oh my sweet friend Patricia. I honestly LOVE this girl. She is from Porto, Portugal. I have been to her event for the last two years. She is my distributor there too. She flew to Spain to help me. THIS woman is so busy and has so much on her own plate but she came to help me. She translated for me on Saturday. I love her with all my heart. So many times in life we meet people that change us. She changes me for the better because I saw her example of love, kindness and family love. I adore her! I met Eva on Friday at the event. She helped translate for me too. Oh, we had an instant connection. She is a beautiful soul and I found her so inspirational. She is the mother of two handsome 14 month old twins. It was nice to have Patricia, Eva and Raquel translate my message to everyone. I could not have done it without the three girls. This is our group. I will FOREVER keep them in my heart! I hope to go again and see them again. Hope you are having a wonderful day!!!!! I am in Madrid Spain for the weekend. Everyone is so nice here. I am thankful for being invited to come. My husband served his mission here. I know he would love to be if with me if he could. We are contantly emailing back and forth and so that makes me feel connected while I am away. Last night, they took me to downtown Madrid for Mexican food. Rakel and Patricia are so super sweet and cute. Patricia does not speak English and I don't speak Spanish so we communicate through the husbands or Rakel. I am excited to go to her shop today. Yes, you can see I am super swollen and jet lagged here. I am still struggling with the time difference. Patricia de Lago owns the store here in Madrid. This is the restaurant we went too. OKAY... it was fabulous. I am not used to eating at 10PM at night. I love the people and culture here. I loved the live band and music. I was able to enjoy the evening with the girls and their husbands. I look forward to meeting all the girls at the event. The retailer kit comes with everything you see, the instructions and supplies w/photos so you can make this kit. I try to make the kits easy to assemble and do since so many people purchase them and teach them at their store for monthly classes. Also, Wednesday I posted the KIT... halloween kit and banner that I am selling as a kit only. I am not able to teach Halloween this year so I did ONE special BIG kit. All the details are on the blog post from WEDNESDAY with the details if you want to get the project. The book is a 7x13 large chipboard file folder album that I designed and manufactured. Again, details are on a the previous post if you are interested. Hope you have a GREAT Friday!!!! DEBUTING- YOU ARE MY HAPPY!!!! Okay... I wish you could see this in person right now. It just is soooo BEAUTIFUL. The gold foil in the line just does not show up in the image and YOU are going to love it!!! This line was inspired by Gentry. My cute daughter started a blog. She named it... YOU ARE MY HAPPY!!!! I thought about all the things that I happy for. This was before I even knew Tyler had cancer. I knew I wanted to do a line that was all about HAPPINESS. The things that we LOVE and documenting that... so Gentry came to the office and we picked out the colors. I added a gold foil to the line. It's a bronze gold and it's sooo pretty! So I designed a few projects to show you how I used it and WHAT really makes me happy. As you can probably guess- my greatest joy in this life comes from my family!!!!! Everything you see on this layout of Taylor is from YOU are MY HAPPY. I am loving the foil and how it just shines. Look at my new flag pennants. They are super cute!!!! I love this collections message and colors... and was so inspired while I created it. I am so excited for the release and can't wait to see all of the amazing projects that will be created with it to document what makes all of you Happy! I will be posting more projects of the collection this week. I am in the hotel room here in Madrid Spain. I was smart and wore my compression stockings. I have learned if I don't, that I swell and my legs actually will hurt. The night after Scrapfest, I was in the hotel room with my lower legs almost TWICE the normal size. I was so swollen. I am here in the room trying to adjust to the 8 hr time difference for me and doing the kit instructions for the HALLOWEEN BOOK and BANNER KIT. So many orders- wow... thank you all for the support!!!! I think I may just need to take a little nap. Okay... I am literally headed to the airport in a few minutes. I will be in SPAIN (Madrid) teaching for two days. Yes, it's a quick trip. I am so grateful that Ty is feeling stronger right now and his counts are up. I will be home when it all begins again (chemo #3 on Tuesday). I was asked over and over again why I don't teach HALLOWEEN projects more often. This year I haven't taught one Halloween class... so I designed a special kit that you can order from me directly... well actually TAYLOR. It will come with a complete instructions, all supplies and a 7x13 file folder (3 big pages), and all of my MASQUERADE PARTY supplies, glassine and treat bags, sequins, 12x12 chipboard, HALLOWEEN Flowers, glitter spider, sticker sheet, die cut sheets and MORE!!!!! It's a huge book and a BANNER as well. The book is big 7"w x 13" h. All you need to do is assemble and add your own photos! It's a big project and I designed it so that you could simply add photos and journaling. A side view... I think this book is so cool and I love the larger size. I know flowers are my thing... I had to add them! Also, you get the supplies to do the HALLOWEEN banner. The papers and the ribbon. (not the cute skeletons- you can buy these at WALGREENS for $2.99). Off to the airport. I wish I could speak Spanish!!!!! !